“Despite the high incidence of musculoskeletal toxicity observed in patients taking aromatase inhibitors, the majority continued treatment, with only 22.9% of women discontinuing therapy for this reason,” stated lead author Susan F. Dent, MD, of the Ottawa Hospital Cancer Centre, the University of Ottawa, Ontario, Canada. This is also similar to the report in the literature, where Gaillard and colleagues found that 20% discontinued aromatase inhibitor therapy due to musculoskeletal toxicity in clinical trials. The study was based on a retrospective chart review at the Ottawa Hospital Cancer Centre between January 1999 and December 2006. 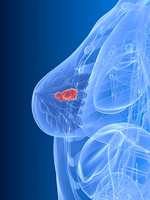 The population included 626 postmenopausal women with hormone receptor–positive early breast cancer treated with endocrine therapy, including at least 1 aromatase inhibitor. Mean age was 59 years. Median follow-up was 98 months, and median duration of treatment with an aromatase inhibitor was 59 months. The women had a total of 1117 prescriptions that included letrozole, anastrozole, exemestane, and tamoxifen. Musculoskeletal toxicity developed in 68% of those taking letrozole, 47.6% of those taking exemestane, 63.9% of those taking anastrozole, and 36% of those taking tamoxifen. Median time to developing musculoskeletal toxicity was 21 months, 9 months, 23 months, and 23 months, respectively. The most common musculoskeletal toxicities were arthralgias (41%), myalgias (25%), osteoporosis/osteopenia (23%), and arthritis (19%). Treatment was discontinued for these toxicities significantly more often with any aromastase inhibitor than with tamoxifen: 14.6% versus 4.8%, respectively (P <.0001). Treatment strategies for musculoskeletal toxicity did not significantly impact adherence to therapy, except in the case of exemestane. Among the group treated with exemestane, adherence rate with no intervention was 33% and adherence increased to 80% with musculoskeletal toxicity intervention, including mediation and physiotherapy (P <.0001). Longer exposure to any endocrine therapy did not appear to increase the rate of musculoskeletal toxicity. Among this group of women, 51% completed 5 years of endocrine therapy as prescribed. 1. Gaillard S, Stearns V. Aromatase inhibitor associated bone and musculoskeletal effects: new evidence defining etiology and strategies for management. Breast Cancer Res. 2011;13(2):205. 2. Dent SF, Campbell MM, Crawley FL, et al. The impact of musculoskeletal toxicity on adherence to endocrine therapy in women with early stage breast cancer—observations in a non-trial setting. Presented at: 2012 CTRC-AACR San Antonio Breast Cancer Symposium; December 4-8, 2012; San Antonio, TX. Poster P1-05-06.